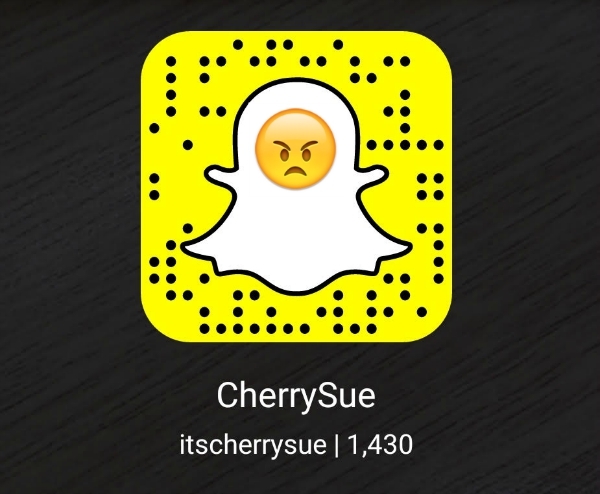 CherrySue, Doin' the Do: Things That Rustle My Jimmies ~ The Snapchat Edit! Things That Rustle My Jimmies ~ The Snapchat Edit! You'll have seen that social media land seems to be suddenly besotted with fast & fun platform, Snapchat, right? Yep, it's been around since 2011 and for the most part has been the domain of the YOOF but using the time sensitive app has now become hugely popular in the main stream or as Aaron tells me with 'Normies'. I've been on there for a fortnight now, joining reluctantly and instantly becoming HOOKED. While I still feel very like Homer ordering a Tab trying to get used to the interface, there's already 1,200 people viewing my Snaps - IN A FORTNIGHT! With great app power though comes great app jimmie rustling ~ in honour of it being Thursday and following on from this morning's ire at opportunistic screenshotters ~ here's my top five Snapchat Jimmie Rustlers so far. Be sure to tell me yours too! 1. It Drains Your Battery Like a MO FO! Since downloading the app my mobile phone is no longer mobile in the evenings. It's now a land line and I'm forever tethered to the wall! 3. I CANNOT STOP LOOKING AT IT. Tapping through Stories from around the world has become an obsession like no other. 4. It DECIMATES your data! fix when you're in a WiFi hotspot. I wish I could quit you, Snapchat! 5. Probably the hardest to take is the ABSOLUTE LEVELLER that Snapchat has proven to be. Having said ALL of that, still I'm hooked. It may be a phase, it may be forgotten in a month but for now, I just can't stop!! Tell us, are you on Snapchat? Can you relate?! Pop your handle in the comments & lemme know, what's rustling your Snapchat jimmies? My 5 and Me Out to Sea! Back to College with Life Style Sports! *WIN* Fabulous NYX Hamper Worth €200!